On Thursday 7th February, up-and-coming comedian and everyone’s favourite ‘guilty pleasure’ (Daily Record) Stephen Bailey begins his brand new UK tour, ‘Our Kid’, at The Point, Eastleigh. 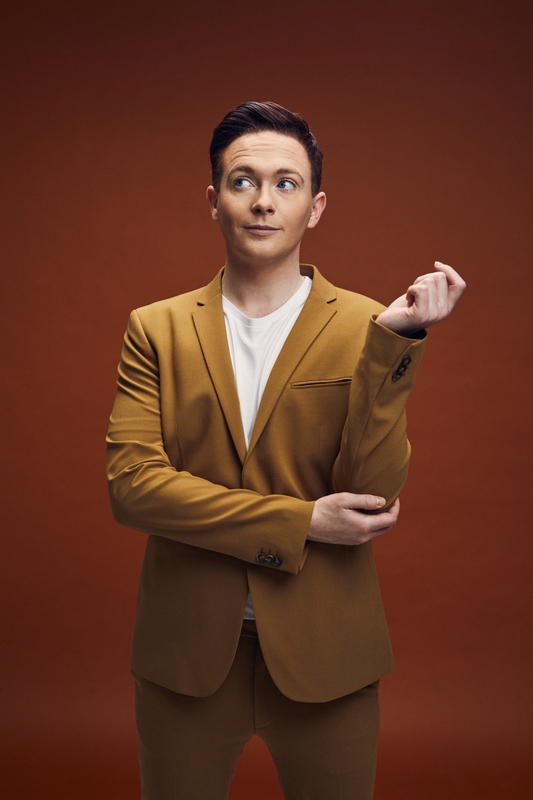 Mixing Northern warmth with some working-class guilt and a little bit of blue, Stephen’s friendly brand of gossipy humour has made him of the country’s most exciting acts in comedy at the moment. Following a sold-out month at the Edinburgh Festival Fringe, Stephen is hitting the road between February and April 2019 armed with his super sharp wit and side-splitting stories about his roots and finding out who he is! 2018 was a very exciting year for Stephen: he has toured the UK with his first critically acclaimed tour ‘Can’t Think Straight’, performed three nights at the prestigious Soho Theatre in London and supported Katherine Ryan on her recent sold-out UK tour. Stephen’s winning comedy and charming personality have propelled him to starring in a number of varied TV projects. He is the host of Celebs On The Farm (Channel 5), the resident agony uncle on Zoe Ball on Saturday/Sunday (ITV), the roving reporter on Do The Right Thing with Eamonn & Ruth (Channel 5) and a series regular on Big Brother’s Bit on the Side (Channel 5). As a vocal supporter of LGBT rights, Stephen also regularly contributes articles to Attitude magazine and the Huffington Post which made him the perfect choice to host Stonewall’s 25th Anniversary Party and his recent interview for AOL Build about the LGBT movement went viral. Suitable for everyone aged 16+, tickets are £14 with £11 concessions. To find out more, and book tickets, visit www.thepointeastleigh.co.uk or call the Box Office on 023 8065 2333.